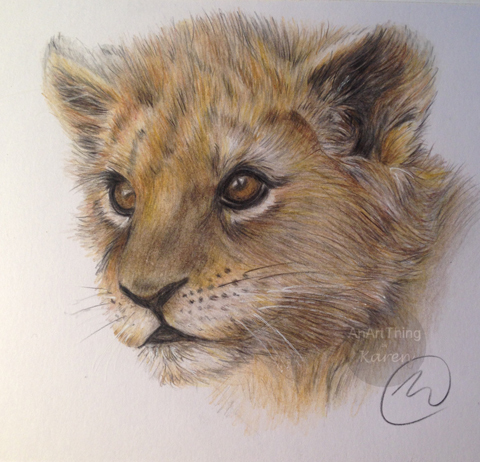 As you are aware I had drawn and donated ‘Lion Cub´for the #twitterartexhibit​ being held in Moss, Norway with 100% of the sales of all postcards going to the charity ‘Home-Start’. This is a non-profitable charity that helps families in need and believes that every child deserves the best start in life. I have had confirmation late last night that ‘Lion Cub’ was sold at the exhibition on the opening night, helping to raise already $4750 for the charity. The exhibition has been extended until Saturday so hopefully this figure will be more. So excited to part of this and glad that ‘Lion Cub’ has found a new loving home in Norway. So here he is all finished. Took me about 10 hours to complete. 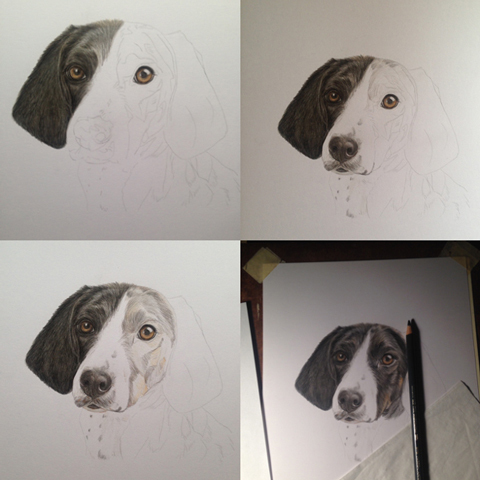 Started this drawing a couple of days ago, but here are all the work in progress shots. 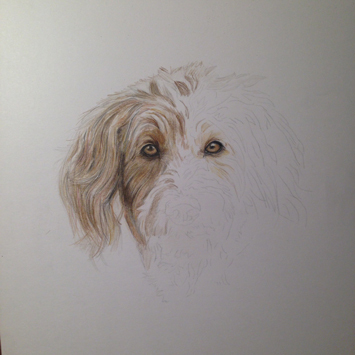 Will post the finished drawing shortly. 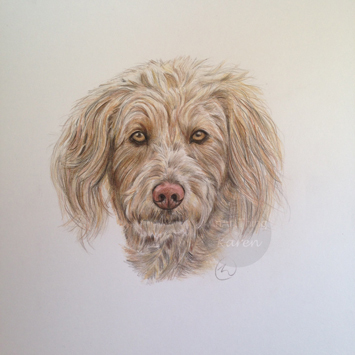 Spent a few more hours on the labradoodle and here he is all finished. Thank you to S Scott for the use of the original photograph. 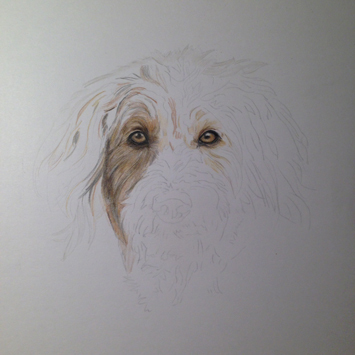 Here is the beginning of a new drawing, a gorgeous labradoodle! 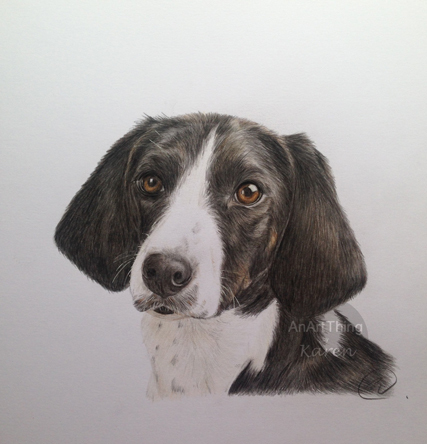 Faber Castell Polychromos on Winsor & Newton Bristol board extra smooth 14cm x 14cm.